Blog/twitter feed test post. 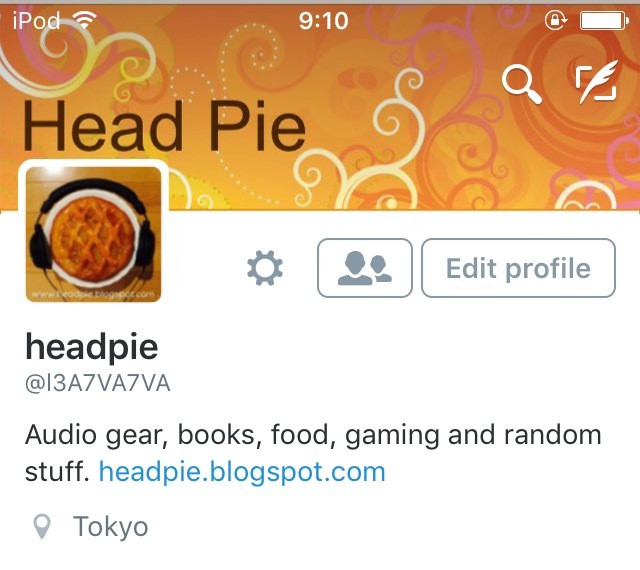 Update twitter feed is live! Echobox interview with George Gill. Tokyo - Fujiya Avic headphone show May 2015. Twitter. Every twit needs a twitter, even us. ipod touch 6G vs 5G shoot out! Output impedances - a great resource website. Tokyo Fujiya Avic Autumn show mini report. 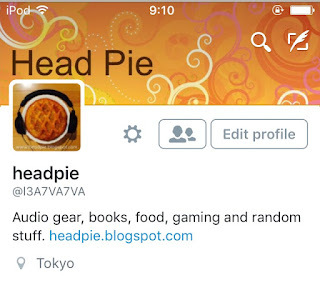 About us, what is head Pie?